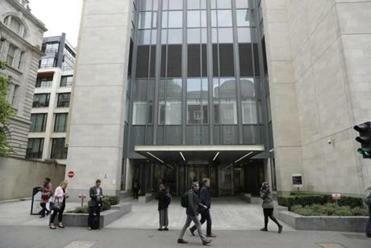 Computers at the Royal London Hospital were among those affected by the international cyberattack, disrupting medical care. LONDON — Security experts warned that the global cyberattack that began Friday is likely to be magnified in the new workweek as users return to their offices and turn on their computers. Many workers, particularly in Asia, had logged off on Friday before the malicious software, stolen from the US government, began proliferating across computer systems around the world. There were initial reports of new cases found over the weekend in Japan and Taiwan, and security experts warned the attack could spread as workers logged in Monday. Moreover, copycat variants of the malicious software behind the attacks have begun to spread, according to experts. The cyberattack has hit 200,000 computers in more than 150 countries, according to Rob Wainwright, executive director of Europol, the European Union’s police agency. An unprecedented ‘‘ransomware’’ cyberattack could wreak greater havoc as people return to their desks Monday and power up computers. President Trump has ordered his homeland security adviser, Thomas P. Bossert, who has a background in cyber issues, to coordinate the government’s response to the spread of the malware and help organize the search for who is responsible, an administration official said Sunday. The attack is more complicated because “the experts tell us that this code was cobbled together from many places and sources,” according to an administration official who insisted on anonymity to discuss the government’s cybersecurity plans. The more potential sources of the malicious code, the harder it is for investigators to run down the trail of possible perpetrators. The source of the attack is a delicate issue for the United States because the vulnerability on which the malicious software is based was published by a group called the Shadow Brokers, which last summer began publishing cybertools developed by the National Security Agency. Government investigators, while not publicly acknowledging that the computer code was developed by US intelligence agencies as part of the country’s growing arsenal of cyberweapons, say they are still investigating how the code got out. There are many theories but increasingly it looks as though the initial breach came from an insider, perhaps a government contractor. Investigators have not determined who is behind the attacks or what the motive is. So far, the main targets of the ransomware attack have been outside the United States. But neither the federal government nor US corporations assume this will continue to be the case. Monday could bring a wave of attacks to the United States, warned Caleb Barlow, vice president of threat intelligence for IBM. “How the infections spread across Asia, then Europe overnight will be telling for businesses here in the United States,” he said. Among the organizations hit were FedEx in the United States, the Spanish telecom company Telefónica, the French automaker Renault, universities in China, Germany’s federal railway system, and Russia’s Interior Ministry. 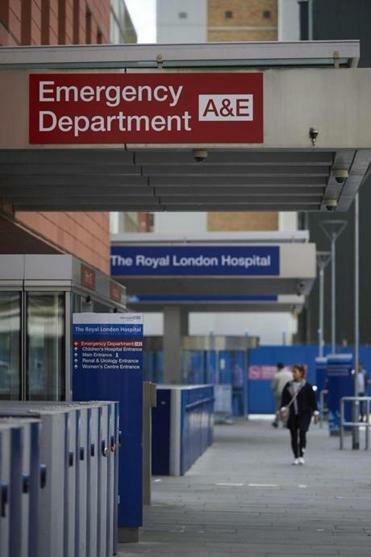 The most disruptive attacks infected Britain’s public health system, where surgeries had to be rescheduled and some patients were turned away from emergency rooms. A 22-year-old British researcher who uses the Twitter name MalwareTech has been credited with inadvertently helping to stanch the spread of the assault by identifying the Web domain for the hackers’ “kill switch” — a way of disabling the malware. Suiche of Comae Technologies said he had done the same for one of the new variants of malware to surface since the initial wave. Robert Pritchard, a former cybersecurity expert at Britain’s defense ministry, said security specialists might not be able to keep pace with the hackers. All it would take is for a new group of hackers to change the original malware code slightly to remove the “kill switch” and send it off into the world, using the same e-mail-based methods to infiltrate computer systems that the original attackers used, experts said. Allan Liska, an analyst with Recorded Future, a cybersecurity company, said a new version of the ransomware he examined Sunday did not have the kill switch. “This is probably version 2.1, and it has the potential to be much more effective — assuming security defenders haven’t spent all weekend patching,” he said. The Microsoft patch will help, but installing it across large organizations will take time. Microsoft has complained for years that a large majority of computers running its software are using pirated versions. The spread of hacking attacks has made legal versions of software more popular, as they typically provide automatic updates of security upgrades. Brad Smith, Microsoft’s top lawyer, on Sunday criticized US intelligence agencies, including the CIA and National Security Agency, for ‘‘stockpiling’’ software code that can be used by hackers, the Associated Press reported. Smith said agencies should report such vulnerabilities to software companies rather than exploit them. Governments around the world were bracing themselves for the start of the workweek. “This is crucial for businesses when reopening on Monday: Please beware and anticipate, and take preventive steps against the WannaCry malware attack,” Indonesia’s communication and information minister, Rudiantara, who like many Indonesians uses only one name, said at a news conference. He confirmed that one hospital — Dharmais Hospital in the capital, Jakarta, which specializes in cancer treatment — had been afflicted by the malware, but without major effects on patients. “Through collective efforts by Indonesian cybersecurity stakeholders, I am optimistic that we will be able to minimize the severity of the threat,” Rudiantara said in an interview. In Britain, the fallout from the attack continued Sunday. Two opposition parties, the Labor Party and Liberal Democrats, said the governing Conservative Party had not done enough to prevent the attack. With a general election scheduled for June 8, officials have been racing to get ahead of the problem. Britain’s defense minister, Michael Fallon, told the BBC Sunday that the government was spending about $64 million to improve cybersecurity at the National Health Service, where many computers still run the outdated Windows XP software, which Microsoft has stopped supporting. A government regulator warned the health agency last July that updating antiquated hardware and software was “a matter of urgency,” and noted that one hospital had already had to pay 700,000 pounds, about $900,000, to repair a breach that began after an employee clicked on a Web link in an unsafe e-mail.